The Eraser tool is pressure sensitive, giving you more precision when erasing parts of a drawing. In the Tools toolbar, select the Eraser tool or press [Alt]+[E]. NOTE: The Cutter tool can also be used to select part of a drawing and then hit delete to erase it. When you select the Eraser tool, its properties and options appear in the Tool Properties view. The properties available are different depending on whether you are drawing on a vector or bitmap layer. The Properties window of the Eraser tool opens. 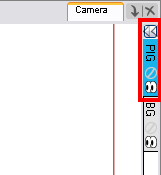 The Eraser tool uses the same Brush presets as the Brush tool. Storyboard Pro provides a variety of eraser presets, which you can create and save.It is a good idea to create and save eraser brushes with precise sizes and parameters for drawing and design. NOTE: If you are working on a vector layer, you can only have a solid eraser. When working on a bitmap layer, you also have texture erasers available. • In the Eraser Tool Properties, select an eraser preset from the Presets section. 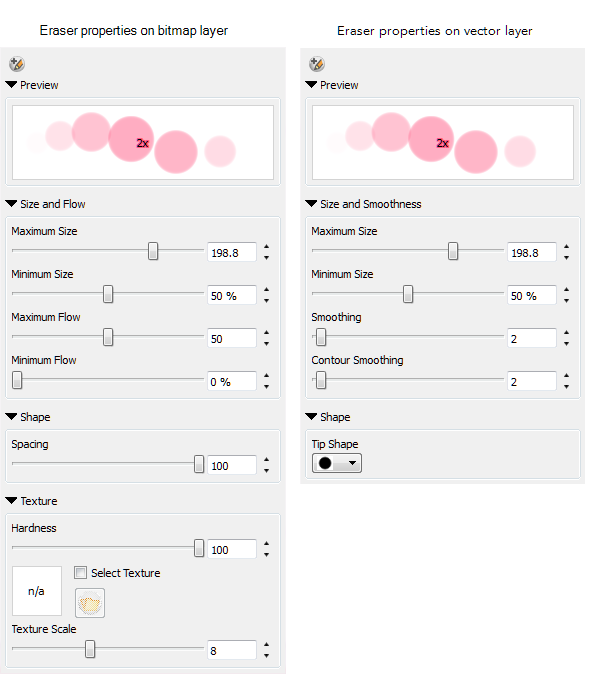 Set the properties of the Eraser tool the way you'd like the new preset to be. Click the Add Brush Style button. The new eraser style appears at the end of the Brush Styles drop-down menu list. Renaming an eraser can make it easier to identify and access the erasers you use most frequently. In the Tool Properties view, select an eraser to rename. Type in a new name for the eraser. Click the arrow button of the Brush Style menu. Select the eraser you want to delete from the Brush Style list. Click the Delete Brush Style button.